Click HERE to go to "A Very Good Year"
In 1972, Tom Gardner’s Senior Mass Communications class, at Glenbard West High School, decided to create a Time Capsule for the graduation class of 1973. The idea as stated in The Pinnacle 1973 yearbook “was to capture a flavor of the early ’70’s through the use of media that influenced millions of Americans." It contained things like magazines and newspapers of the day. Also enclosed: a 16-mm film called “A Very Good Year." It contained photography around the school and classes. The narrative device used for the movie was two older classmates meeting and reminiscing about high school days as they drive the streets of Glen Ellyn. 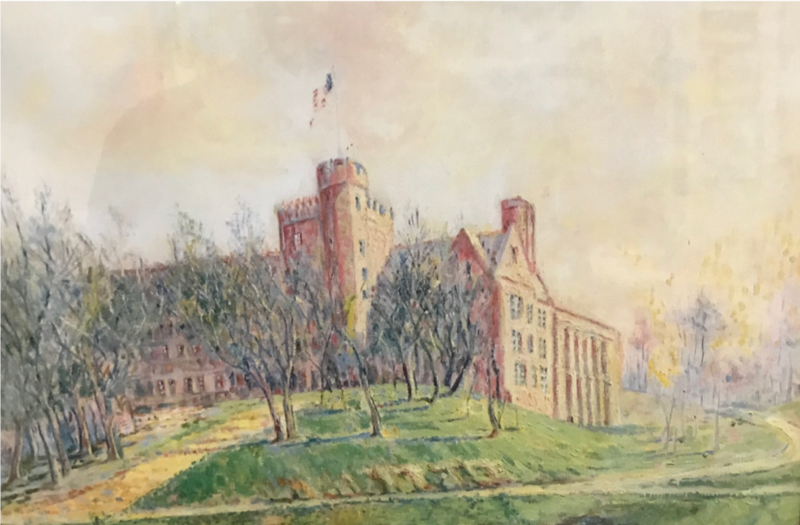 To discover, preserve, and share the rich and amazing history of Glenbard West High School. This website is a compilation of efforts. A majority of the text is taken from a photocopy of Glenbard West High School’s history. At this point, the author—or authors-- remain unknown. Former art teacher, Howard Schwartz, may have had a hand in it. He certainly should be credited with taking care of so much historic items such as pictures, photos, art works. Howard’s greatest contribution was the work he did to make room 428 an official archive room. The oak bookcases and the display cases are the pinnacle of his effort. The display cases also lead to the creation of the Glenbard West High School Historic Society. Shortly after Howard approached me to take over the work of Glenbard West’s history, I met two students in room 428, Allie Dahlgren and her friend. They were both sophomores. The three of us were waiting in 428 for some French students. Allie and her friend were in Mme. Callicoat’s French class and she had asked if I could meet them in 428 to tell them a little about the history of the school. As we waited, the girls became fascinated by the photos in Howard’s cases. One photo in particular captured their attention. In it, Fred L. Biester, our long-time and beloved principal/superintendent, stood as a group of seniors sat in front of the high school. The photo had been taken before the main entrance was built, but over Fred’s right shoulder was the school bell mounted to the building’s exterior. I pulled Allie and her friend across the hall from room 428 and showed them the bell, now rusted and silent, but still mounted in the same spot. Somehow, the history of Glenbard hit us all so profoundly that the three of us started a new club, The Glenbard West High School Historic Society. My appreciation goes to GWHS Science Teacher Bruce Medic. Many of the pictures on this site were supplied by Bruce.